2. Click the "Insert" menu. 3. 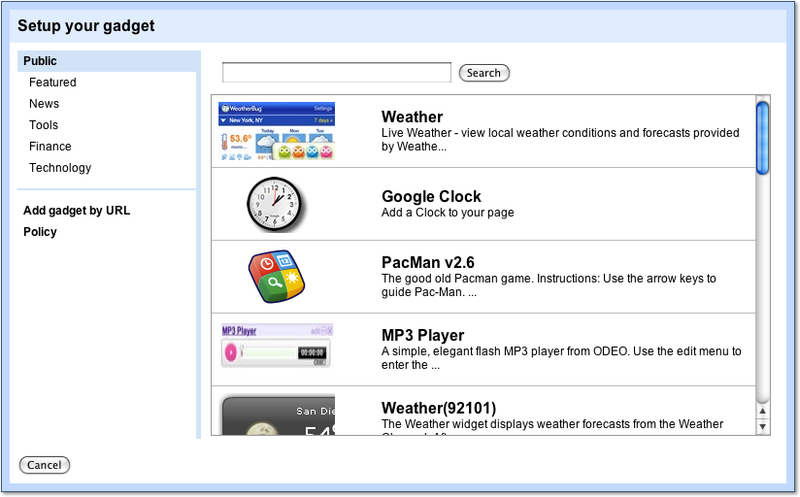 The menu shows you the different types of objects that you can insert into the page. 4. 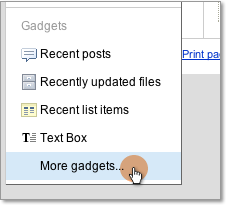 You can also search the Gadget gallery by clicking the "More gadgets..." menu. 5. Search or browse the Gadget gallery. Interested in contributing a gadget to the gallery? 6. When you are done editing your page, click "Save".